Very interesting morning observed by a happy crowd. So what was the issue with this tree? Before starting any work we discussed the displaced kerbs and cracked and raised tarmac around the lime tree. 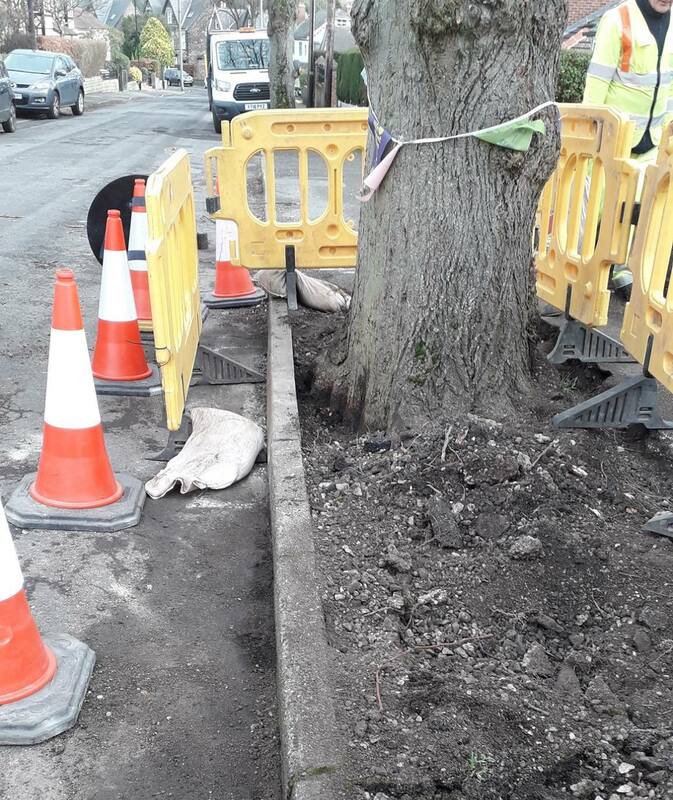 Amey felt that it was likely that a significant root had forced out previous kerbs and the thin kerbs fitted a few years ago had collapsed. Amey concerned that it may not be possible to put a sufficient foundation in place for any new kerbs. Our engineer felt that even if this was the case, there would be options such as forming a concrete kerb on site but we needed to excavate first. Amey crew decided not to wait for the compressor and airspade (that hadn’t arrived) and decided to get on and remove kerbs and soil by hand to see what was what. 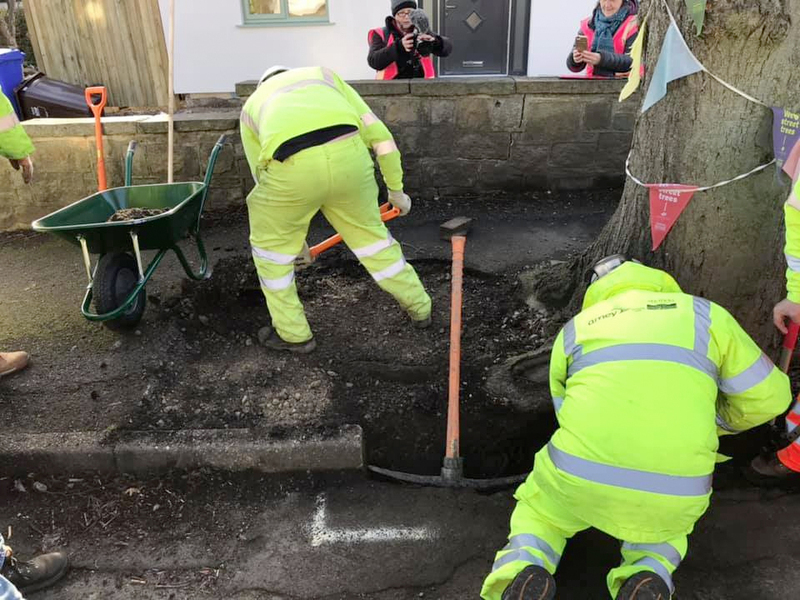 10 minutes later they had found a perfectly intact concrete foundation and scraped back soil to discover that there was plenty of room to reinstall a full standard kerb. Blimey. 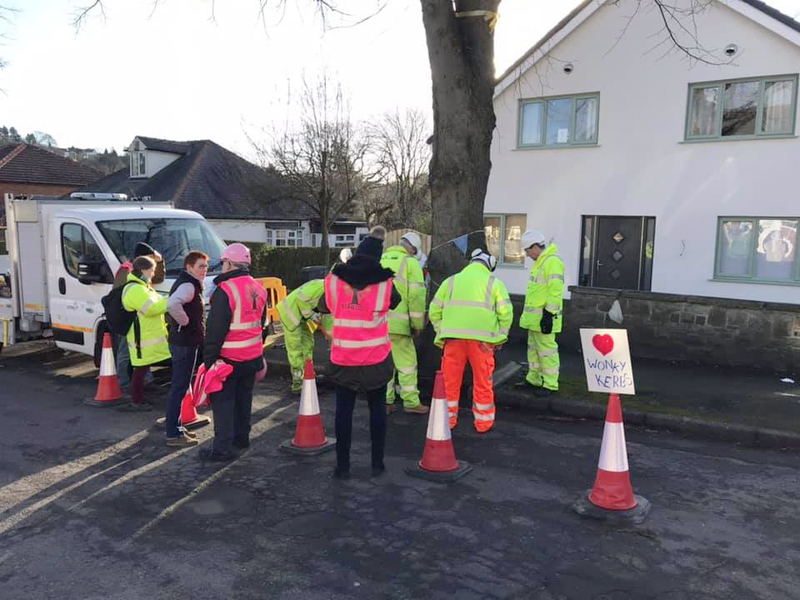 Later, after tarmac removed and the airspade was used to clear soil, it was also evident that the main tarmac lifting and crack in pavement was as a result of a root 10 – 15cm below the pavement height and that new tarmac could be relaid easily. Agreed solution? Reinstall standard kerbs bedded on cement, supported on roadside by cement fill and backfil with mulch. Couple of minor small surface roots 1-2cm diameter removed by the supervising arbs. Enlarge tree pit and re tarmac pavement. Nothing technical, nothing unusual. Exactly what campaigners have been saying well before the conflict on the streets brought things to a head. 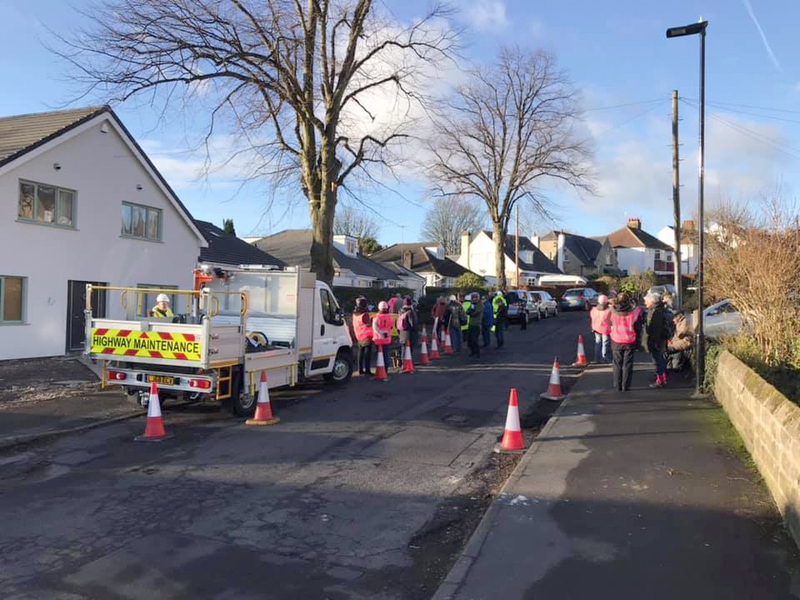 All in all it took 4 hrs, of which 2 hrs, were waiting for things to arrive and marshalling the Pink Panthers (pictured in fetching pink hi-vis jackets). Couple of hours work to complete the tarmac tomorrow. How do we feel? 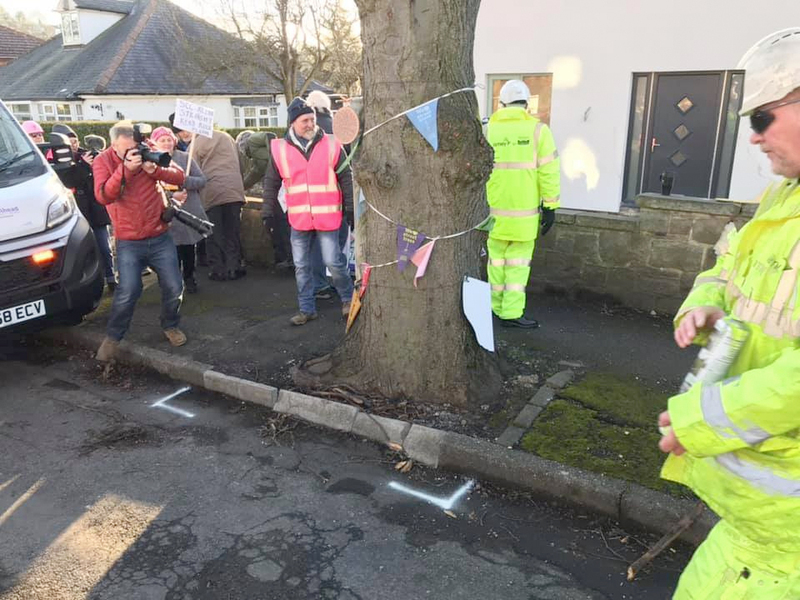 Happy that 1 tree has been retained and furious at the 6 lost there and the 1,000’s needlessly felled for the failure of SCC and Amey to do reasonable on-site investigation. ‹ The Big Issue namechecks STAG!